Home → Uncategorized → Bad Credit? 5 Simple Steps To Rebuild Your Credit In 12 Months! A bad credit score can hold you back from achieving your financial goals. It makes it hard to qualify for loans, and borrowing is more expensive if you get approved at all. 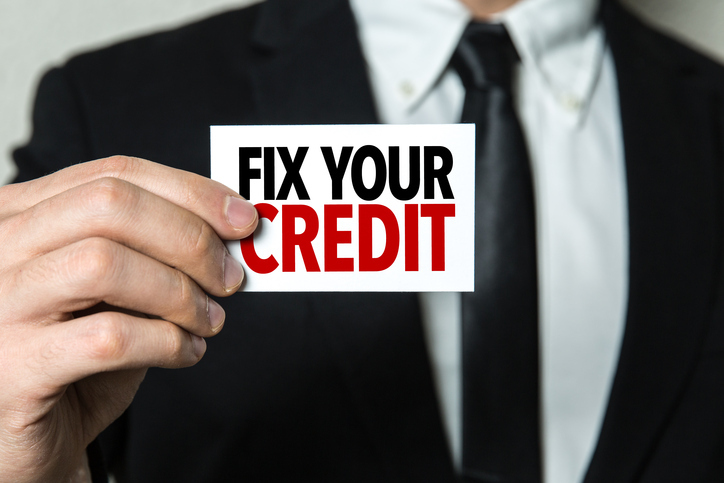 If you have a poor credit history or no credit at all, then lenders either don’t trust that you’ll be timely and consistent with repayments, or they have nothing with which to assess your risk, and lenders aren’t about to give you the benefit of the doubt. So, how do you go about building (or rebuilding) your credit history? Fortunately, even borrowers with a history of bankruptcy, insolvency, or poor financial behavior can choose from a number of secured or unsecured credit cards for bad credit in Canada. Secured credit cards differ from other credit cards in that they require you to provide a security deposit that’s equal to or greater than the credit limit. Avoid prepaid cards because payments are not reported to the major bureaus Make sure to use a secured card like the Refresh Secured Visa. Negative items damage your credit, but mistakes can occur in reporting. If something is reported incorrectly to a credit bureau, you may have negative items that shouldn’t be there. Credit repair is the process you use to dispute these errors and have them removed. The best way to repair your credit is free. You should identify and dispute mistakes yourself. In order to build credit, you need debt that you can pay off responsibly. But obtaining credit that counts toward your credit history isn’t always easy with bad credit score. Use a small cash deposit to open a secured credit card. Since the debt is backed by a cash deposit, you can open a secured credit card even with a bad score. The credit depends on how much you put up for the deposit. This means making all debt payments on time and keeping all accounts in good standing. If you get a personal loan or in-store credit line, simply meet the payment requirements each month. Also make payments on any other loans you may have, such as student loans. If you got a secured credit card, make a small number of charges that you can afford to repay in full. This not only helps you build credit, it teaches you how to use credit cards interest-free. If you start and end each billing cycle with a zero balance, interest charges never apply. Each payment you make on time creates a positive remark in your profile that offset past negative remarks. The more credit lines that you can maintain in good standing, the faster you build credit. But, you don’t want to take on too much new credit at once. It’s bad for your score and it’s difficult to manage the debt. So, after about six months of managing the first account you picked up, consider new credit. You can see if you qualify for unsecured credit cards or consider a larger loan, like an auto loan. Once approved, make all those payments on time and keep the account in good standing. Repeat this process over time and you’ll achieve an excellent credit score. Just be careful to make sure you can afford to pay back debt before you open a new account. You should also only take on credit when you have a specific purpose for it. Don’t just open new credit cards because you happen to receive offers in the mail! Keep your credit utilization ratio below 30% or lower (lower is always better). To calculate utilization, divide your total current credit card balance by your total available credit limit. Don’t apply for too many new lines of credit within a six-month period. If you apply for mortgages or auto loans, then shopping around and getting multiple quotes in a short timeframe will only count as a single inquiry. Stay on top of other bills to keep them out of collections. This is especially important for out-of-pocket medical expenses not covered by health insurance. If you think you’re covered and weren’t, the bill can go to collections and hurt your credit. Have You Considered Qualifying To Write Off Your Debt? Are you $10k or more in debt and looking for help? If so, you may be eligible to reduce your monthly payments. Qualify now to reduce your monthly repayments to an affordable level, consolidate everything you owe into one monthly payment and freeze Interest to save thousands in interest and charges. Go to www.debtadvisors.ca to see if you qualify. 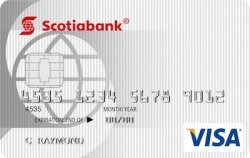 Here’s a list of the best credit cards for repairing and building credit available in Canada. Compare, find and apply for the right one for you. 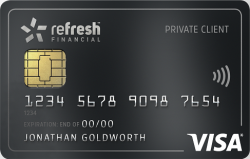 This secured card is a new product from Refresh Financial targeted at customers with low credit score or no credit. The card can be used to rebuild credit score, and as it doesn’t require a credit check, it may be your best chance of getting a credit card. 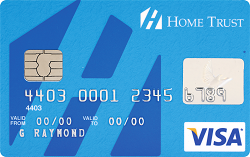 The Home Trust Secured Visa Card is another option that requires a security deposit of at least $500. The limit is based on the deposit made and ranges from $500 to $10,000. There is a low-rate option that goes with an interest rate of 14.9 percent. The standard rate is 19.99 percent and there is no annual fee. The low-rate option goes with a fee of $59. 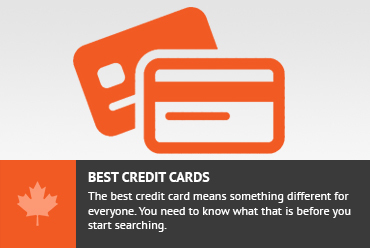 This card is offered to consumers with bad credit and almost everyone gets approved. If you have less than perfect or poor credit, this card will help you to build or reestablish your credit history. You can use it to book a hotel room, make purchases online and by phone, pay bills, pay for gas, and more. 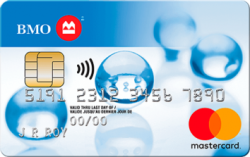 The BMO Preferred Rate Mastercard is an excellent credit card to consider if you’ve bruised your credit score and are looking to rebuild. With this card, you get BMO’s preferred interest rate of 11.9%. Credit card lenders typically only allow clients who are in good standing credit-wise to access this rate. And you get this benefit by paying a relatively low fee of $20. You only need a fair credit score to qualify (in the 575-649 range). However, if you’ve declared bankruptcy within the last seven years, your application will be declined. There are a number of extras you can add on to your account for an annual fee, like travel insurance, protection against identity theft, and special services that provide round-the-clock monitoring of your (credit score. Fees to be aware of include the $29 over-limit fee and a $48 fee for dishonored payments returned by your financial institution. 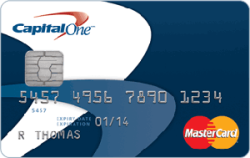 The Capital One Guaranteed Secured MasterCard, for example, features guaranteed approval and a limit of $300 or higher. It is a good choice for customers with no credit and tarnished credit. The good thing about this card is that you can use it as a standard card – to make bookings, for car rentals, online purchases, in-store purchases, and more. Capital One features standard benefits such as emergency cash advances and card replacement and zero liability. However, you can’t have a current Capital One account, can’t have applied for a Capital One card in the last 30 days, and not have had a Capital One account that was in good standing within the last year. You also need to be the age of majority in your province or territory. 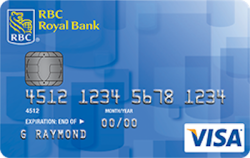 The RBC Visa Classic Low Rate is yet another card with a low-interest rate of 11.99 percent and an annual fee of $20. Additional cards are available at no added cost. This option is a great choice for those considering debt consolidation. Major benefits include free traveler’s checks, worldwide acceptance, easy application, and others. Optional travel insurance is also available to protect customers in case of loss of job or illness. Customers benefit from auto payment options, cash advances, and quick application processing. This card is also an excellent choice for debt consolidation. You can use it to make one-time or larger purchases. Don't subscribe All Replies to my comments Notify me of followup comments via e-mail. You can also <a href='https://www.creditwalk.ca/comment-subscriptions/?srp=5193&srk=2648578ecea05c83754707575dc5a494&sra=s&srsrc=f'>subscribe</a> without commenting.